Dampness in property is caused by excess moisture occurring in the building which can be from a number factors such as a failure of a damp proof course, poor ventilation or simply poor property maintenance. Not only does the damp in your property cause structural damage it can also has the potential to cause damage to your health too. What are the different types of damp issues? The different forms damp that can affect your property range from rising damp to condensation. Rising damp starts at the bottom of the wall and then moves up the wall through what is known as capillary action. This causes the internal wall to become moist and as a result promotes the growth of mould that could lead to further damage within the property. Rising damp usually occurs when the damp proof course becomes damaged or even when the ground level around the house has been raised by the addition of a path or driveway. 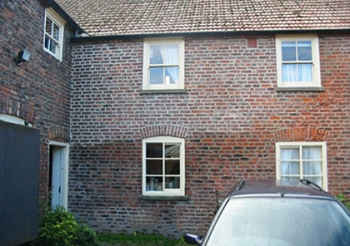 Rising damp is a result of groundwater finding its way into your home through your brickwork or stonework. Penetrating damp may look relatively harmless to the untrained eye but can in fact can prove to be very damaging to both the inside and outside of the property. This form of dampness is essentially caused by water finding its way through the fabric of a structure and is often caused by building defects such as damaged rainwater goods e.g. damaged guttering. Condensation is by far most common cause of dampness found in buildings and as a result is the source of the majority of damp issues reported by property owners. Condensation is caused as a result of moisture been absorbed into a warm atmosphere of a property, then, as the property cools down, the moisture condenses on cold surfaces such as on windows or windowsills. A side effect of condensation is black mould that can be harmful to health as well as cause decorative spoiling. How Damp Proofing can protect your property? The solution to rising damp is through the installation of a damp proof course. The first part of damp proofing process is to drill a series of holes into the brickwork just above ground level. These holes are then injected with a water based silicone damp proofing fluid to reduce the movement of water through the capillaries. A chemical damp proof course is the most convenient and safest way to install a damp proof course and prevent dampness from rising up the wall. To key to protecting your property against penetrating damp is to identify and control the source of the water ingress that is affecting the property. The treatment for penetrating damp is very much dependent on the source of the moisture. For example, the penetrating damp issue may only manifest during periods of heavy rainfall. This could be as a result of the property suffering from building defects such as damaged rainwater goods, faulty roof fabric or broken render. These defects can lead to moisture passing through to the inner surface of the wall. Most defects can easily be repaired by a builder or a plumber. After the wall has been allowed to dry out repair to any damaged interior decorations can then take place. Improving ventilation in the property is key to allowing the moisture laden air to exit the property quickly. This can be achieved by adding mechanical ventilation such as kitchen and bathroom fans. Maintaining a low-level background temperature within the property will ensure that there will be no rapid changes in temperature. By heating the inside of the property will help reduce the risk of condensation occurring. A quick and effective solution to clean black mould is through the use of a mould eradication kit. Kits are simple to use and are readily available online. Through using a mould eradication kit and taking steps to prevent condensation occurring it is possible to prevent a reoccurring mould problem in the property. I work for a company called Timberwise which we provide specialist property care and preservation services for both domestic and commercial properties, so no matter what the scale of the issue may be, our experts have the knowledge and skills to make your property great again.